The US Navy has traditionally taken a leading role in radio research and technology. 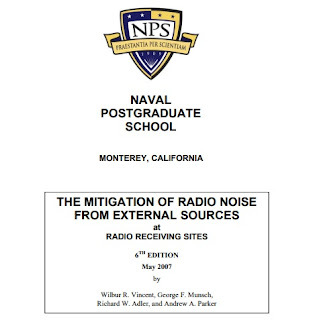 With receiving stations around the world, the Navy has an interest in mitigating radio noise in the vicinity of their stations in order to copy weak signals. This manual was produced to provide precise information about how to approach such problems and can be useful for technically minded hams and energy company personnel. 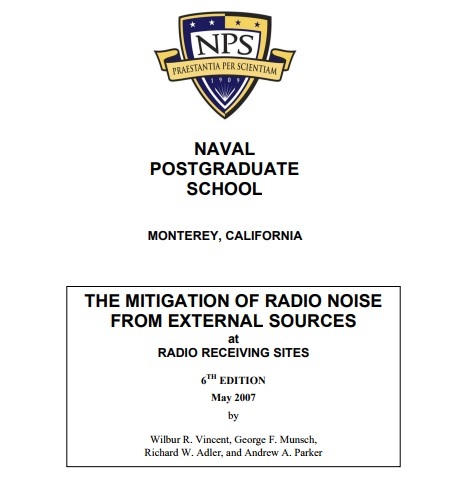 Dowload Free courtesy of the US Navy Post Graduate School and the ARRL.